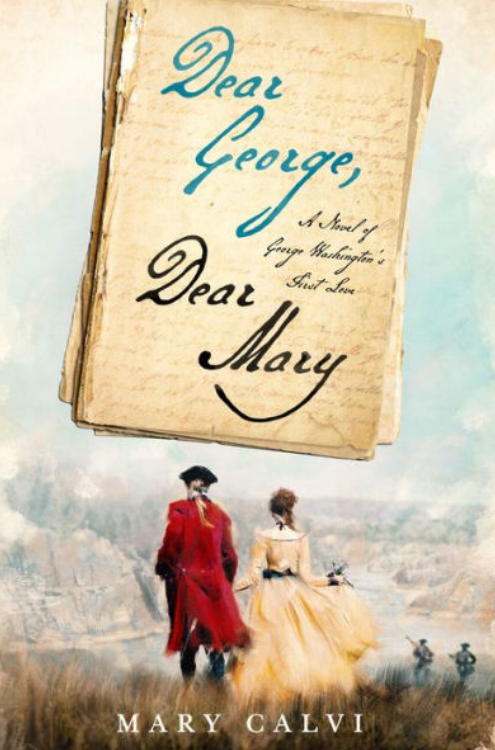 The award-winning novel, Dear George, Dear Mary is a never-before-told story, hidden away for centuries, revealing that long before tea was tossed into Boston Harbor, unrequited love helped spark a flame that ignited a cause that became the American Revolution. Crafted from thousands of archived letters, witness accounts, journal entries, documents and published articles, the novel based on the true account, explores the relationship between George Washington & his first love, the richest belle of Colonial America, Mary Eliza Philipse. Journalist Mary Calvi's debut novel will leave you second guessing what you’ve known about George Washington in his youth. Historical figures, including Alexander Hamilton, John Jay, Daniel Boone, and Nathan Hale, help weave an intricately told story of love, deception, & vengeance. Prepare to be swept away into the 1700s, from breathtaking scenes of New York’s polite society to battlefield victories in Harlem and beyond. Dramatic portraits unveil a Washington on the precipice of greatness, who is also a writer of romantic poetry and a fine dancer. His ravishing love is New York heiress, Mary Eliza Philipse, whose beauty and refinement disguise a deep and complex inner struggle. 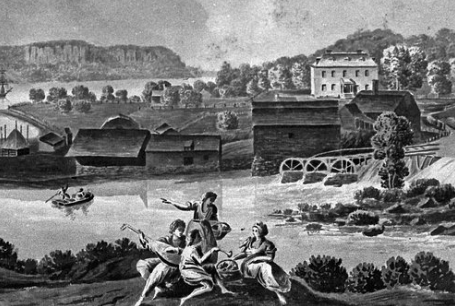 Philipse Manor Hall, unknown artist “D.R.” Probably New York, post-1783, ink wash on paper. Gift of La Duchesse de Talleyrand. Historic Hudson Valley, Pocantico Hills, NY (PM.65.866). MARY CALVI spent years wondering about the heiress who lived in the grand manor in her hometown of Yonkers, New York. Curiosity propelled her to do extensive research that spanned several years. This novel is based on what she uncovered. Calvi is a nine-time New York Emmy® award-winning journalist. She is a television news anchor in New York City. Mary is also First Lady of the City of Yonkers. She serves as a board member of the Hudson River Museum. This is her first novel. Here, the author researches the Declaration of Dependence at New-York Historical Society.